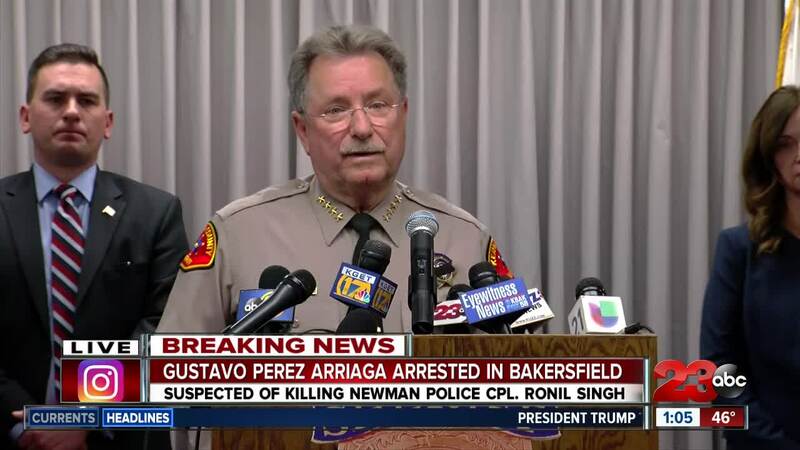 BAKERSFIELD, Calif. — UPDATE: Arriaga has been booked into the Stanislaus County Jail on one count of murder. He is being held without bail. No court date has been set as of yet. 32-year-old Gustavo Perez Arriaga has been arrested for allegedly killing a Northern California police officer during a traffic stop. According to KCSO, on December 26 around 1 a.m., Newman Police Corporal Ronil Singh was flagged down by a citizen about an intoxicated man in a silver pickup truck in Newman. Cpl. Singh attempted to pull over the truck on suspicion of driving under the influence (DUI) when he called out over the radio that shots had been fired and he had been hit. Cpl. Singh was taken to a hospital in Turlock, where he later died. Through an investigation, Arriaga was identified as the shooter. On December 27, KCSO learned that Arriaga was believed to be hiding in a residence in the 8200 block of Brooks Lane in the Lamont area. As SWAT officers circled the residence, Arriaga surrendered without incident and was arrested for murder. 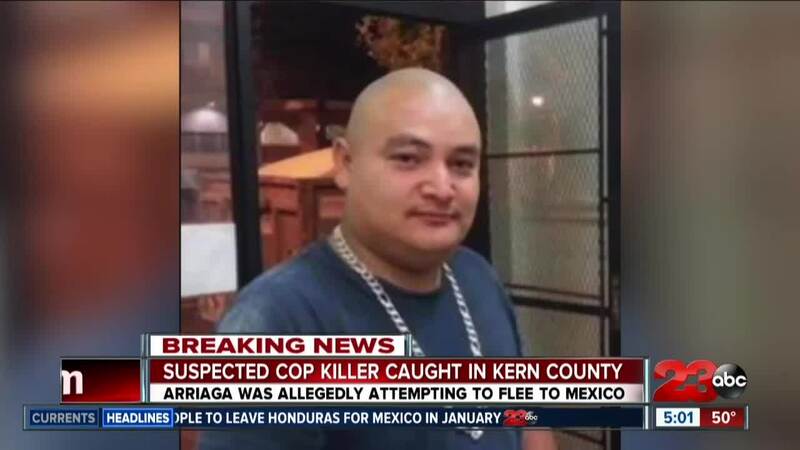 According to the Stanislaus County Sheriff Adam Christianson, Arriaga was in the United States illegally and planned to flee to Mexico. He has two prior arrests for DUI. Sheriff Christianson says Arriaga has connections to the Sureños gang. Five people have been arrested for aiding and abetting Arriaga. 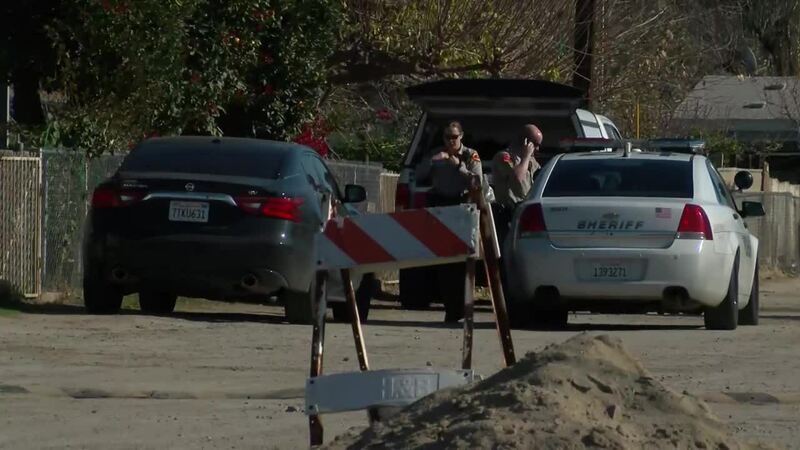 32-year-old Erik Razo Quiroz, a coworker of Arriaga, and 25-year-old Adrian Virgen, Arriaga's brother, were arrested south of Stanislaus County. 59-year-old Bernabe Madrigal Castaneda, 36-year-old Erasmo Villegas, and 57-year-old Maria Luisa Moreno were also arrested for aiding and abetting Arriaga in the Lamont house. Castaneda, Villegas, and Moreno are from Bakersfield. 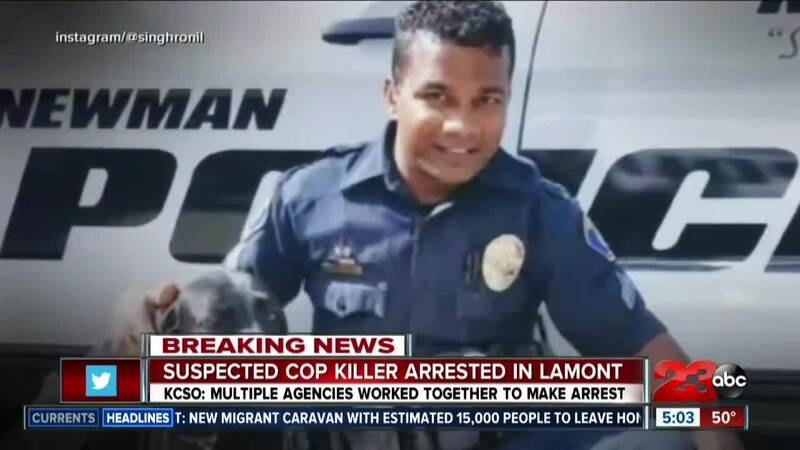 Earlier this morning, former Turlock City Councilman Ted Howze confirmed that the man accused of killing a Northern California police officer during a traffic stop has been arrested in Bakersfield via a Facebook post. 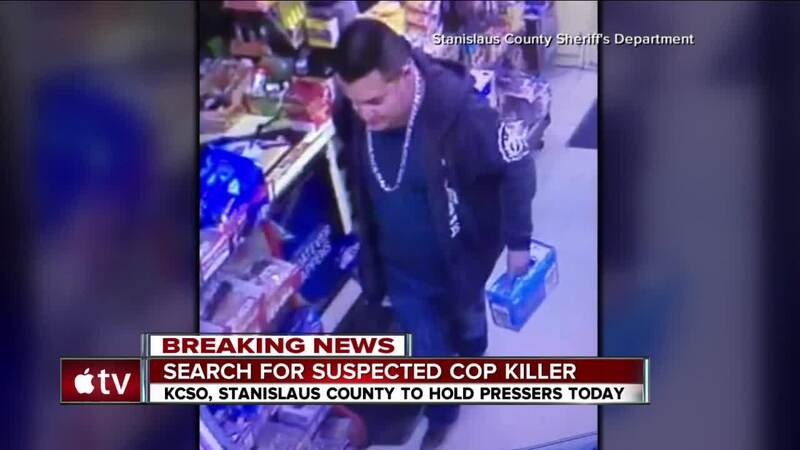 At the time of the post, Stanislaus Sheriff's Office and other law enforcement agencies had not released Arriaga's name. Arriage is currently in the custody of the Stanislaus County Sheriff's Department.